This Premier League season (2017/2018), to me, has seen a large number of teams who seem to be undecided about their number one goalkeeper. Off the top of my head, there have been changes, due to injuries or performance issues at West Ham, Southamption, Liverpool, Burnley, Crystal Palace & Newcastle. Both the USA Men’s National team & the England Men’s team are, at this time undecided on who their first choice goalkeeper is. At a recent presentation to the parents of the club in which I am goalkeeping director, I listed the reasons why, as a club, we look to have two goalkeepers per team. Two goalkeepers allow for an inter-team scrimmage. The goalkeepers on the team often share a bond. A common theme, a certain sense of humor and a “them against us” mentality against the team’s outfield players shooting on them. Being a good teammate is to help that other goalkeeper, provide good service and be a sounding board. 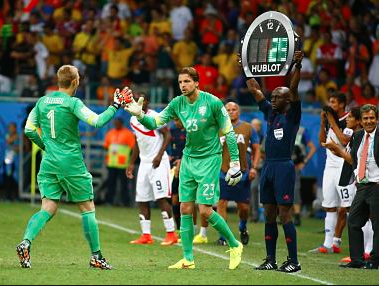 Often, a good relationship is struck up between the goalkeepers. There is, however, only one spot for a goalkeeper and when it comes to playing, the friendship turns to a rivalry as each goalkeeper fights to become the number 1 goalkeeper. Depending on your level of play, by not being the starting goalkeeper may result in limited to no play time. 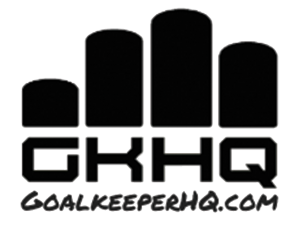 The following article aims to give you the edge to impress your coach and help you get back as the starting goalkeeper. Here is some advice for goalkeepers who are competing for the number one spot. 1 – Do not make enemies with the other goalkeeper. Although they are competing with you for your place, you need them to push you harder, provide quality service, warm you up, provide you with rest during practice drills. A visual resentment towards the other goalkeeper will not go down well with the coach. 2 – Be coachable. The ability to take criticism without looking for an alibi. Not being a “Know it all”, and always looking to improve. 3 – Show that you love the game and the position. Is there a passion in the way that you train? Give 100% every time. 4 – Provide evidence of being mentally tough. Ensure that one mistake does not lead to a mental breakdown causing many more mistakes. 5 – Treat practice like you would a game. Demand great technique from yourself. Communicate with players like you would in a game. 6 – Practice at home. Even if it is small things like strength or speed training. Little improvements add up over time. 7 – Show that you are willing to make sacrifices. Are you available for selection during a friends birthday party – even if you don’t get to play? 9 – Befriend the influential players on the team. These are normally the loudest players or the captains. Other influential players are the defenders that play in front of you. 10 – Similar to #9, is the communication you give your defenders. If you just bellow out instructions or commands without any praise, the defenders will get sick of you. Boost their ego. Make them feel good with a “well done” – Defenders will like playing in front of goalkeepers that make them feel good. Coaches will pick up on that chemistry and elect to play you.